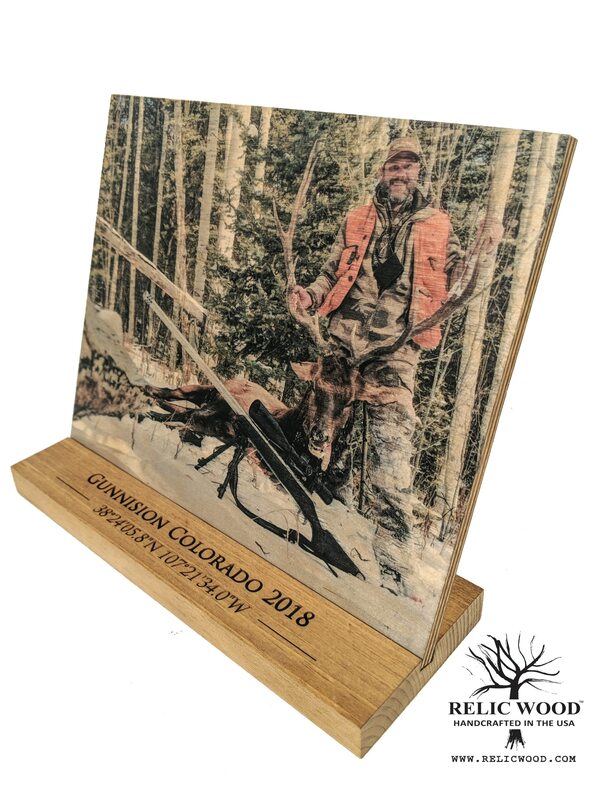 Custom Wooden Photo Stand – This Custom Desktop Art features your Photos / Text / Artwork embedded into the wood with stunning color and wood grain exposed. 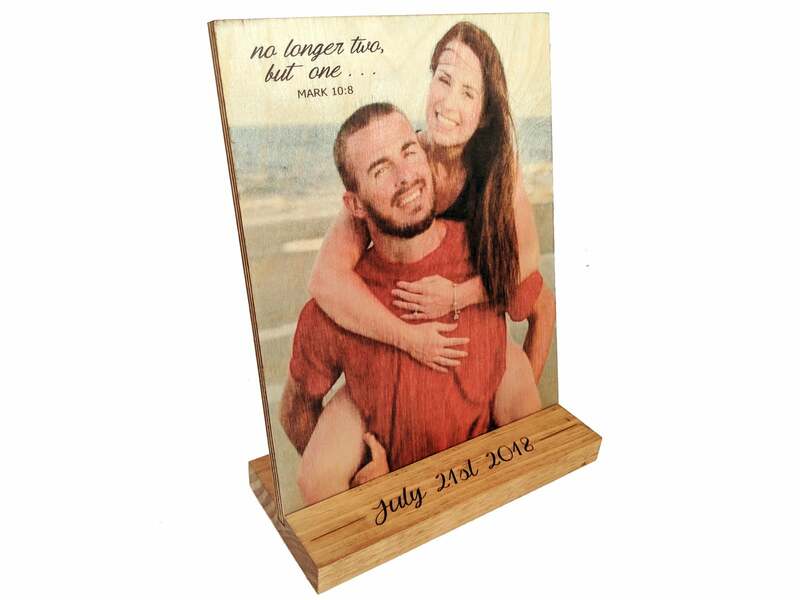 Additional Options: Laser Engraved Text on the Wooden Stand that holds the photo. Choose the desired size of your photo stand. Can be used horizontal or vertical. See product images for photo examples. 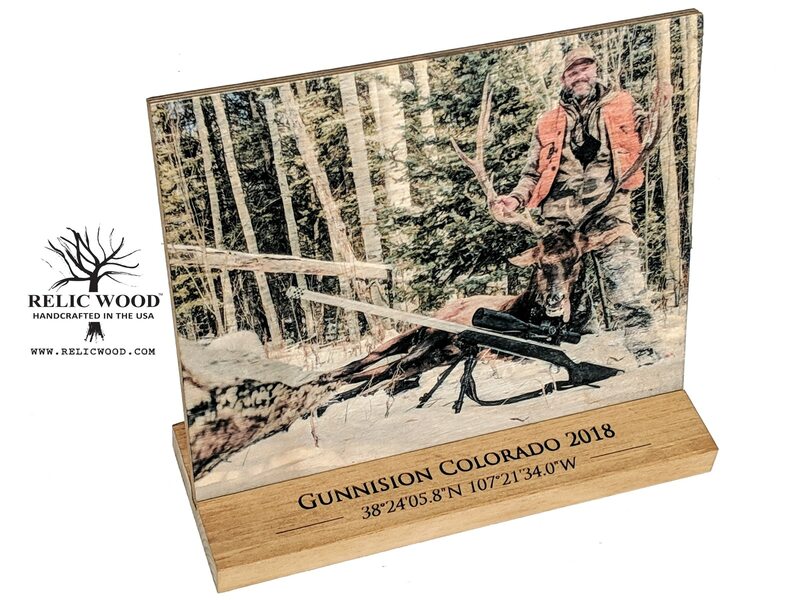 Laser Engraved Text on the Stand? 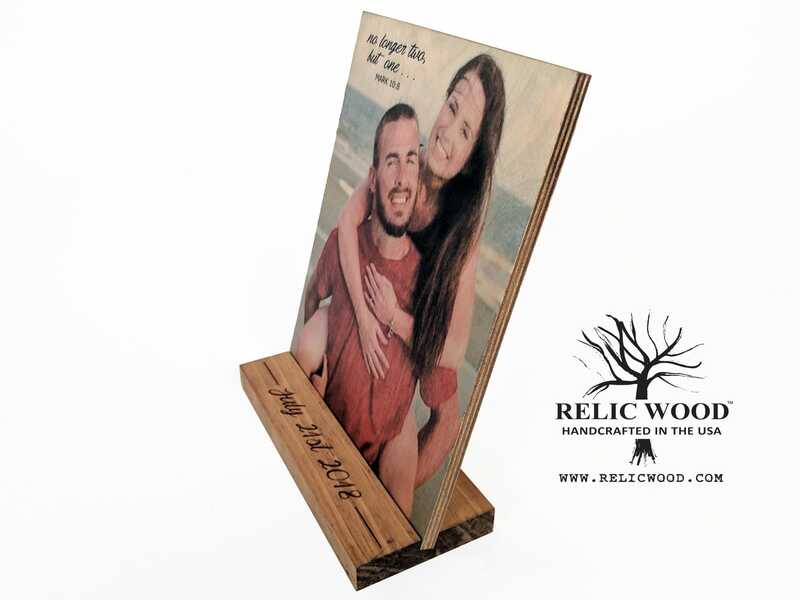 Custom Wooden Photo Stand. Great photos trapped on your phone? 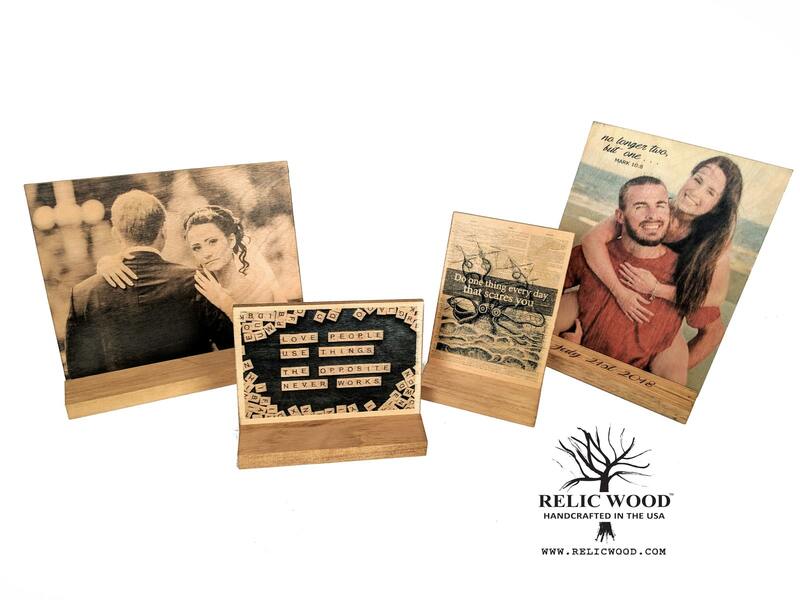 Set them free and bring them to life on our handcrafted Custom Photo Stands. Think Desktop Size! 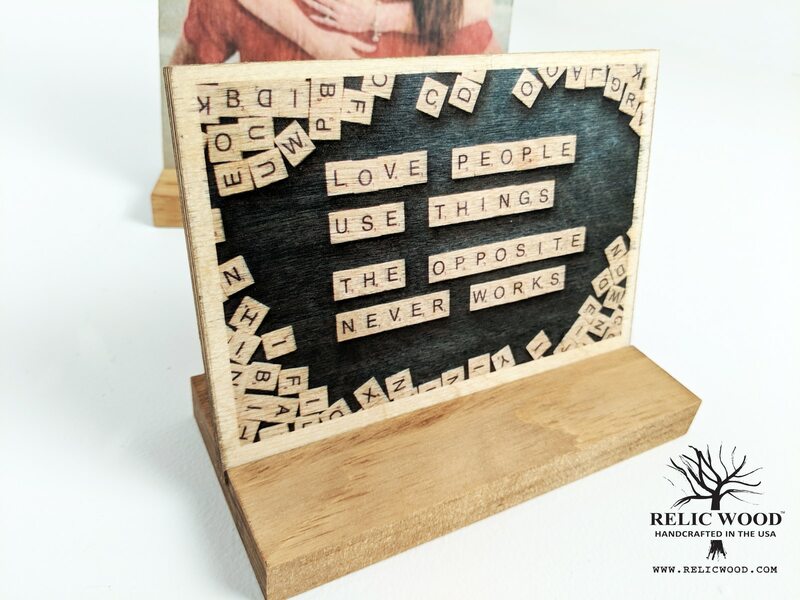 Perfect for decorating your desk, office shelves, counter tops to fit your style. 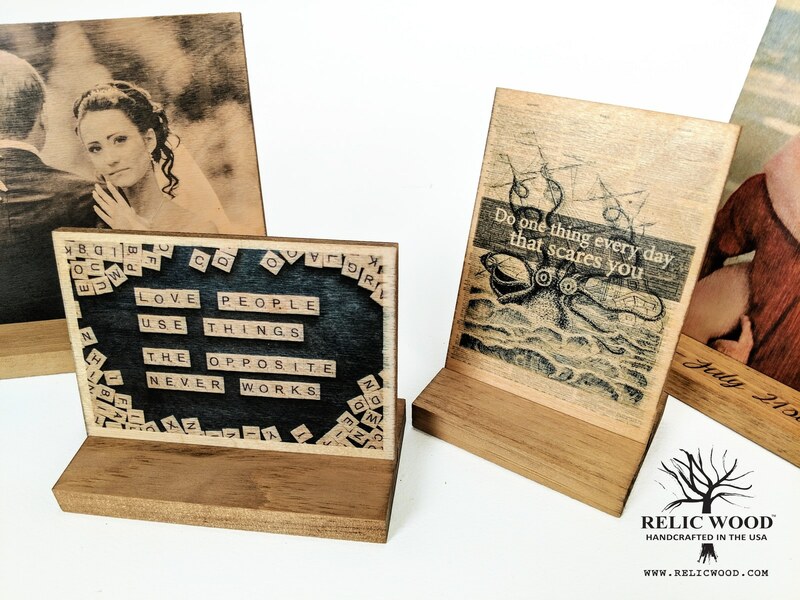 Incorporate your favorite photos, quotes, text, or artwork files on these awesome custom pieces. 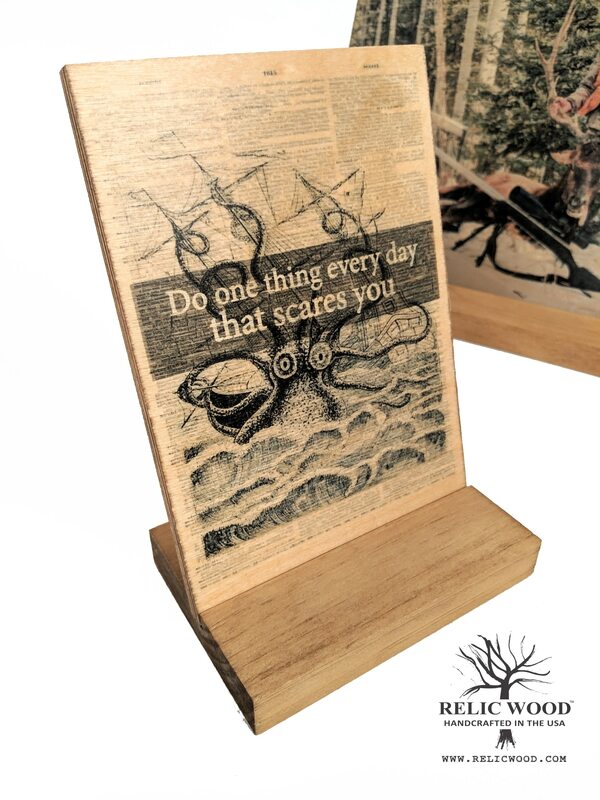 Perfect free standing wooden art for bedrooms, kids room, living room, kitchen, bathroom, office, retail space, restaurants . . . the list goes on forever.